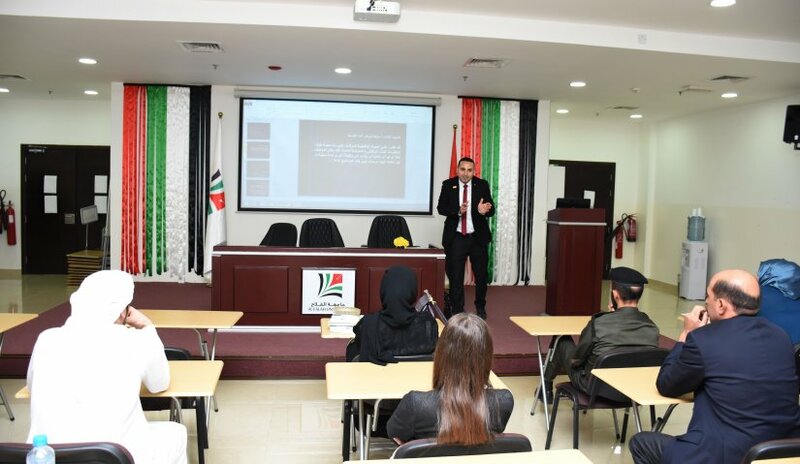 Home News > A Lecture on "Public Service Career and Discipline"
The College of Law at Al Falah University organized today, 27th November 2016 a lecture entitled "Public Service Career and Discipline" by Assistant Professor, Dr. Muhammad Najm. The lecture addressed the terms of appointment and the different functional conditions in addition to the Federal Law by decree no. 11 of 2008, regarding federal government human resources in the United Arab Emirates. At the end of the lecture, Dr. Muhammad Najm opened the floor for discussion and question and answer part by the students and academic and administrative staff participants.